Hiring the right local disc jockey can make your wedding reception more memorable. It provides additional entertainment to guests through music. Wedding DJs generally offer convenience, a diverse selection of songs, better control of volume, and affordable service. So if you’re planning to add some great entertainment to your big day, Cincinnati’s best – DJ Bridal – is here to help you. 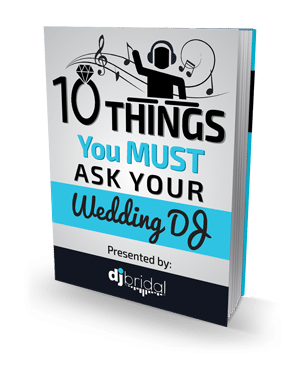 What Makes a Good DJ for Weddings? One of the things that make a DJ the best choice is how they handle clients. Your wedding DJ should provide personal consultation to make sure everything you want for your program is covered. It’s also important they primarily focus on weddings, not on birthdays and other events. This is because providing music and entertainment for weddings is a whole new ball game. There’s a specific sequence to follow, and the mood is not the same as most events. A good DJ makes sure that everyone is engaged and entertained while making sure that the sequence of events – from welcoming the guests to the last dance — is accomplished. If the DJ you’ve originally contracted cannot make it on your scheduled date, find another who’s also competent and knowledgeable in handling wedding programs. Ask for the DJ’s bio, their experience, training, and equipment before agreeing to work with them. A good DJ also asks for a meeting in advance (at least 60 days) before the wedding day. This will help them get all the information needed such as the names of the bridal party, the itinerary, and other important matters necessary for the wedding plan. But don’t worry because they usually offer a checklist on the steps that clients need to take during the planning. That way, you know you’re with the right DJ for your dream wedding party. Where Do Local Wedding DJs in Cincinnati Usually Perform? How Do DJs “Read the Room”? It means they know when to let the guests enjoy a subdued moment and when to pump up the energy when it gets low. For example, when your guests aren’t dancing, the DJ can play the most appropriate music to encourage them to go to the dance floor and have the time of their lives. It’s not all about pumping out dance tunes though. Sometimes, music that would encourage conversation is also appropriate. A good DJ would know when to do what. Usually, DJs play classic music first to help the older guests enjoy before they go home early. Then the playlist will progress to newer songs that appeal to younger guests. This is an effective style wedding DJs use to make sure everyone is enjoying the party. Wedding playlists are extremely wide-ranging and usually include folk, country, classical, rock, R&B, pop, jazz, and hip-hop genres. Local DJs are likely to know the latest music hits that are perfect for weddings. But you can request the songs you want played during your reception. With mixed and vibrant playlist to keep the dance floor more alive, there’s no reason not to hire a wedding DJ in Cincinnati. Probably, this is the main benefit of hiring the best local wedding DJ. If you have someone to take care of the music during your reception, you can focus on your guests. Let your DJ provide entertainment to your beloved family and friends for a more enjoyable wedding party. Professional DJs know how to operate all relevant equipment including lights, batteries, microphone, sound system, and electrical cords. They also understand how to fix or troubleshoot potential problems that may arise during the program. This will help keep the ceremony going while everyone is enjoying. Aside from playing music, DJs can also host events including the offering of toasts and holding contests for your bridal program. Expert DJs know how to boost the energy of your guests. They can take song requests to make sure everyone is involved throughout the program. Before the big day, consulting with your chosen DJ is important. This will help you both in drafting the program and listing the perfect songs for your wedding reception playlist. That way, your event will be personalized based on your unique needs and expectations. An ideal set doesn’t only include great music, but it also offers a visual experience to your audience. The best local DJ in Cincinnati can provide fog machines, LEDs, bubble machines, and dancing lights to make the program more fun. Live bands may be a great idea, but keep in mind that bands need breaks. If you hire a DJ, the entertainment is nonstop. You can play the best songs from the beginning of the program until the end while keeping the momentum. Creating your own playlist from your phone and getting a live music band are good options. However, DJs are better because they have a wide collection of songs from different genres to match your taste. You can have classic hits, the latest songs, your personal favorites, and anything in between. When hiring a DJ, the right choice should be experienced and organized in giving creative suggestions for your wedding. Local DJs should also welcome your ideas in order to arrive at the best plan for your reception. Don’t hesitate to let the DJ know if you disagree with something in the plan. DJ services usually offer up to 6 hours of music, MC services, photo booth, video screen, and all the equipment needed in the program. Equipment includes self-powered amplified speakers, laptop, microphones, mixer, and DJ software. All these contribute to a fun and memorable wedding party experience. DJ Bridal is a professional wedding DJ company that offers reasonably prices services. With their state-of-the-art sound system, extensive music library, and professional DJ and/or emcee, you get everything you need for your bridal program. 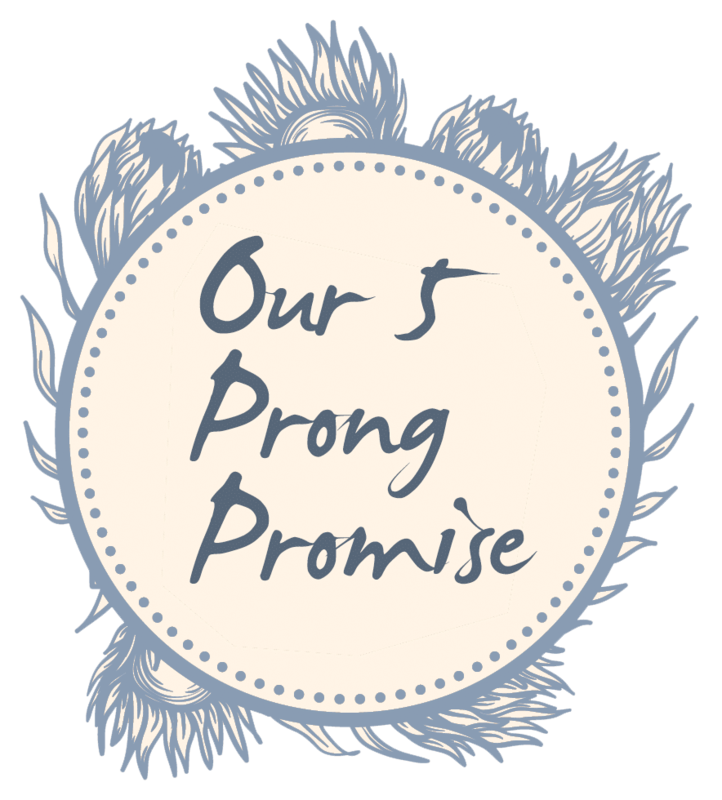 The company offers a contract to guarantee you on-time and satisfying service during your big day. Follow this link for more information on hiring a local wedding DJ in Cincinnati. If you want a memorable wedding day, you should definitely consider hiring a DJ or an entertainment crew to cater your party. Less work and worries on your side. You can enjoy the party without thinking about whether the guests are having a good time. I’m sure they will. Hiring a good DJ can really make your wedding an event that’s worth remembering. Having someone who knows how to play the perfect tune at the perfect time can make a huge difference in the overall atmosphere of the party. If you miss the 80’s, then you can tell the DJ to play the best songs from those years and bring the nostalgia factor. The only downside that I see is the price of hiring one, but it will be justified by the positive vibes it brings to the event. Thanks a lot for posting this. I’m sure that your guests will love it when you hire a professional DJ to take care of your wedding party. Gone are the days when wedding receptions are boring and bland. Some companies also provide other entertainment services like photo booths. Enjoy your special day without the hassle. Good DJs as you have said, can “read the room” and play the most appropriate songs. I know hiring one can be quite pricey, but it’s worth it in my opinion. Nonstop celebration while there’s no stress on your side. Love reading this. Thanks for sharing. I agree that hiring a dj is essential to any wedding today. This might sound awkward to some, because the last thing that you’ll probably think of when you go to a traditional wedding reception is the word “fun”. But it has changed quite a lot because modern weddings are more enjoyable than ever before. They can cater any theme that you have in mind, like 70’s disco, rock n’ roll and other nostalgic themes. I’m telling you, it’s gonna be 10x more fun if you hire a DJ. A DJ will definitely amp up the good vibes in your wedding reception. They are not cheap, but it’s gonna be worth it in the end. This of course, only applies if you hire a good one. Try asking someone who had an experience in hiring one, they’ll probably recommend a good one. If I would choose between a DJ, a wedding singer and a band, I would choose a DJ because there are basically no limitations for them. A band or singer may get tired performing for hours but a DJ definitely wouldn’t. They can also play any song that you want. Beegees, Metallica, Run DMC, you name it. Meanwhile, a band may find it difficult to play some songs. I’m not saying that bands and singers are obsolete, far from it. But you just need to try a DJ out because it has some advantages too. Awesome post!